Dear Khaliyl, this video makes me smile from ear to ear! Thank you. I feel like I have to have a voice. But I feel like we all do. We are the youth. Not just I & not just you. Now what would Bernie Grant do? Always and in all ways give credit where it is due. NB: as part of my module I had to write a critical blog relevant to the current political climate, so I decided to post it on my actual blog. 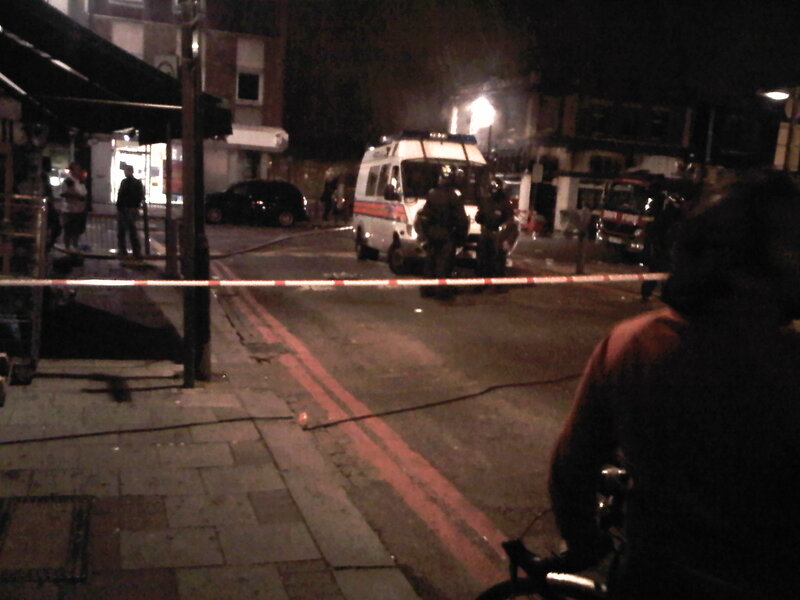 It’s about the London riots which I witnessed just before moving to California for school. A special thanks to Professor Schnyder for EVERYTHING. like, I will never forget you! Before the 6th of August 2011, if you asked a random group of people what they think when they hear the word “Tottenham,” the majority would have said football, as it is home to one of the top 5 teams in the English Premier League. However, if you ask them now, the majority would say, riots. 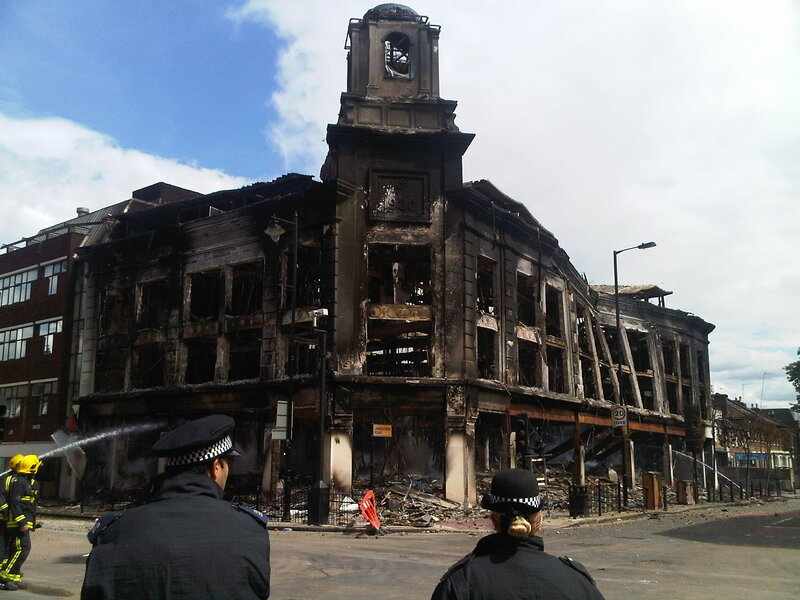 The 2011 England riots are considered to be the worst uprising in British history. 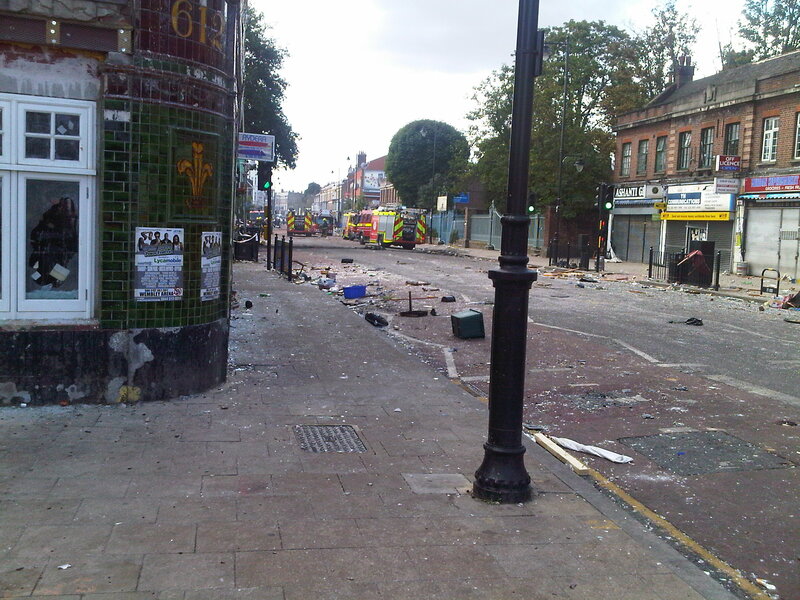 I believe that the riots were much deeper than the death of Mark Duggan. I probably would have never even realised this until I came out here to America, studied Africana Political Theory, and saw the bigger picture. I felt that the people of Tottenham had the right to get angry, but what I failed to realise is that what happened in Tottenham could have happened anywhere. 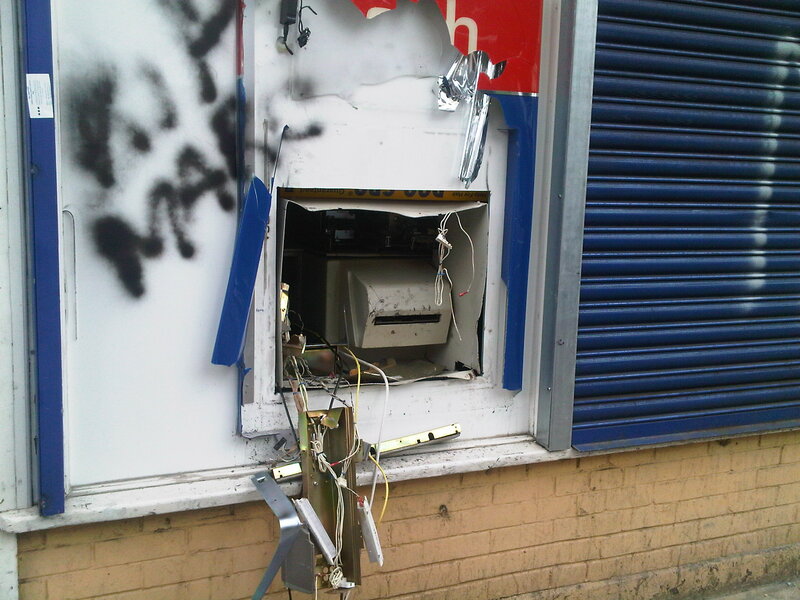 Tottenham is somewhat a representative of the other areas dotted around the nation. Duggan’s death did spark fury upon the masses, but it was the beating of a 16 year old girl that was the last straw. Yes, there were many opportunists that took the ultimate advantage of the disharmonious chain of events which spread across the nation, but what the general public fail to realise is that there have always been problems in Britain that the government constantly fail to address, or even make an attempt to solve. In theory, it started with the death of Mark Duggan on the 4th of August 2011 near Tottenham Hale station. He was shot to death in a taxi, in public, by Operation Trident. For those that don’t know, Operation Trident is a Metropolitan Police unit that focuses on gun crime in the black community. The family of Mark Duggan had to learn about his death through the media. The police told the media Mark Duggan was the first to open fire, which we have now come to learn from the IPCC, is completely false. 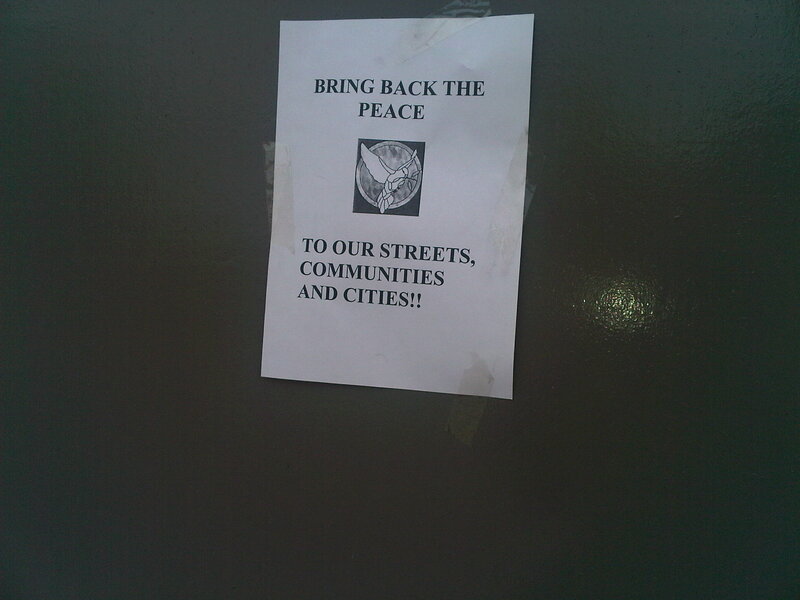 On the 6th of August 2011, families and friends of Duggan held a peaceful protest from Broadwater Farm to Tottenham Police Station. When they reached Tottenham Police Station, they demanded to see a senior officer that would come outside and talk to them. They were there for hours, but were ignored. The amount of protestors swelled within hours, and still no senior person in authority came to talk to the family. I was not at the protest, but I know that on this very same day, there was a friendly football match between Tottenham Hotspur and Athletic Bilbao. 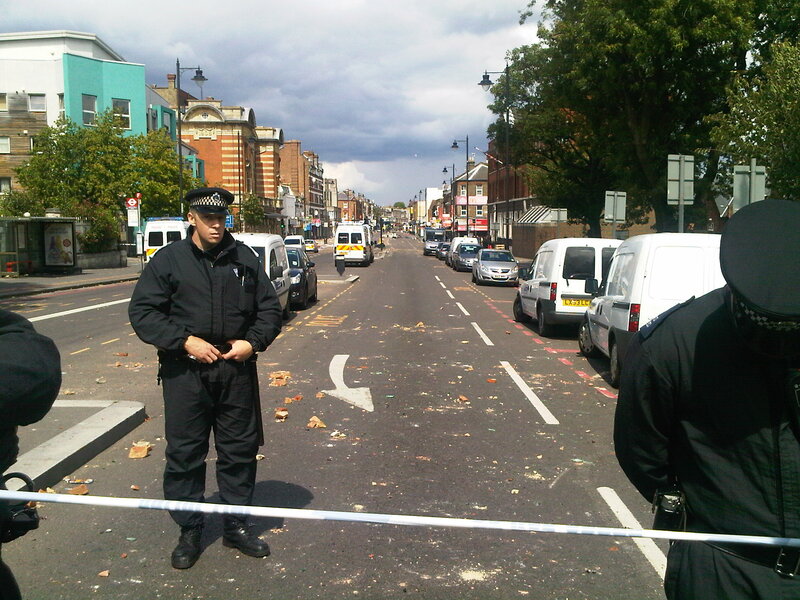 There were bus diversions and a high concentration of police presence in Tottenham High road. It was a Saturday night, so there were a lot of people at Tottenham High road, as well as dedicated fans who went to the match, which was a straight 10-15 minute walk from the station. So I could not specify whether the multitude of police officers and horses who surrounded the building were from the game, or were called for the protest. The people in the protest increased, and the police body stuck together like magnets hovering aound the station. This was already the prelude to a battle scene. At this point, there was still no response from any member of the police authority. Allegedly, reports claims that a rock was thrown by a 16-year old girl, and this is actually what started the violence, not the protest. The police had no mercy, and rushed to beat her up in front of the crowd. In the video below we see and HEAR them rushing to beat her. 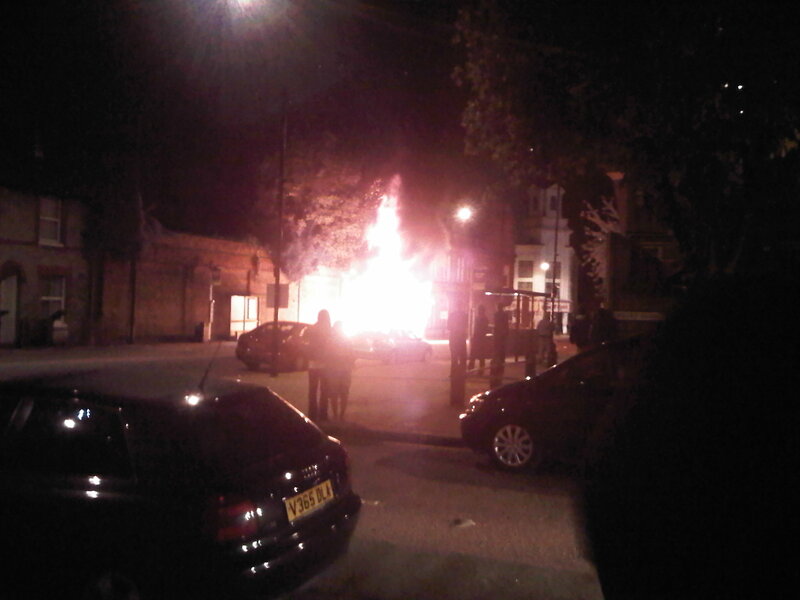 The first police car to be set alight was actually by a white man, in his 30’s from South London. There were a plethora of people, young and old, from all backgrounds. 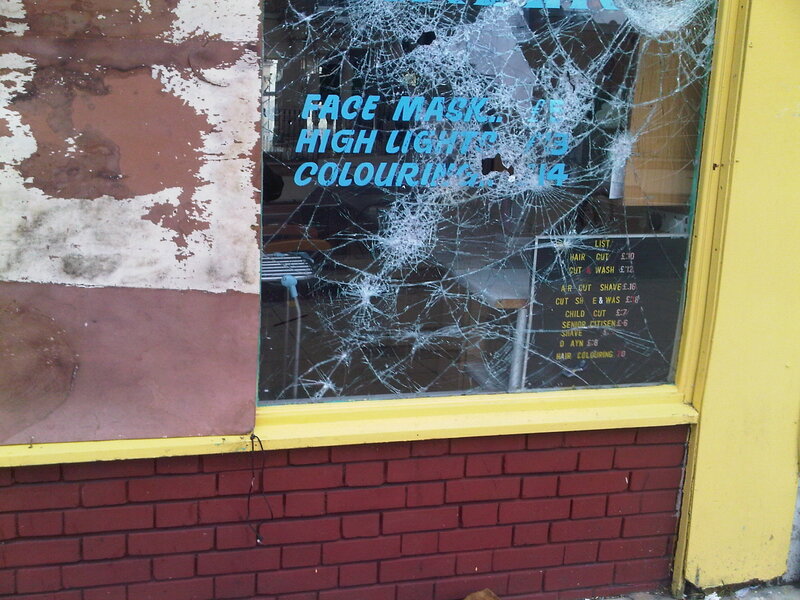 (Tottenham is one of the most diverse areas in London.) 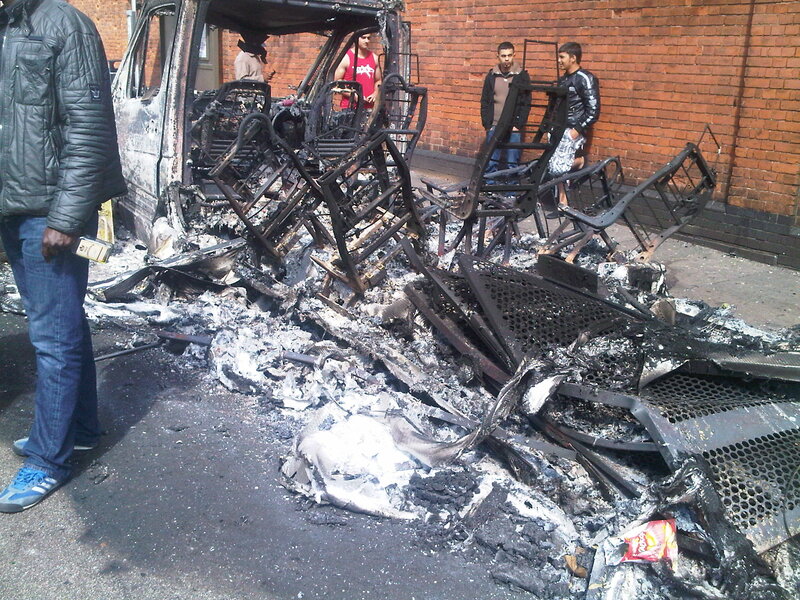 Through social networking sites and blackberry messenger, pictures of police cars on fire spread fast around London. Within hours, people from surrounding areas filled Tottenham to see the spectacle. It does not take a genius to know that if the police perform an insane act of brutality towards a member of the public, for what seems to be no reason, the crowd will retaliate. We know this from the Broadwater Farm riots, which triggered off from the death of Cynthia Jarrett. We know this from the LA riots in 1992, and even from our neighbours, France. It was inevitable. But it became very messy, and this was because of many reasons. People looted shops to form ammunition to attack the police. But whilst some used this as ammunition, others took the opportunity to take some goods. People were angry and they did not know why. Amidst the fire in the streets, there was an eerie feeling mingling through the air. I felt it and I know others did. It felt like carnival, but it was just weird. People were eating together, sharing food and drinks as the fire separated themselves from the frontline of the ‘riot’ police.We did not know this event would shake the nation. I kept hearing people say “Mark made that mark.” But I started feeling uneasy as more and more people came from foreign areas, far and wide, and I think this is when things became problematic. 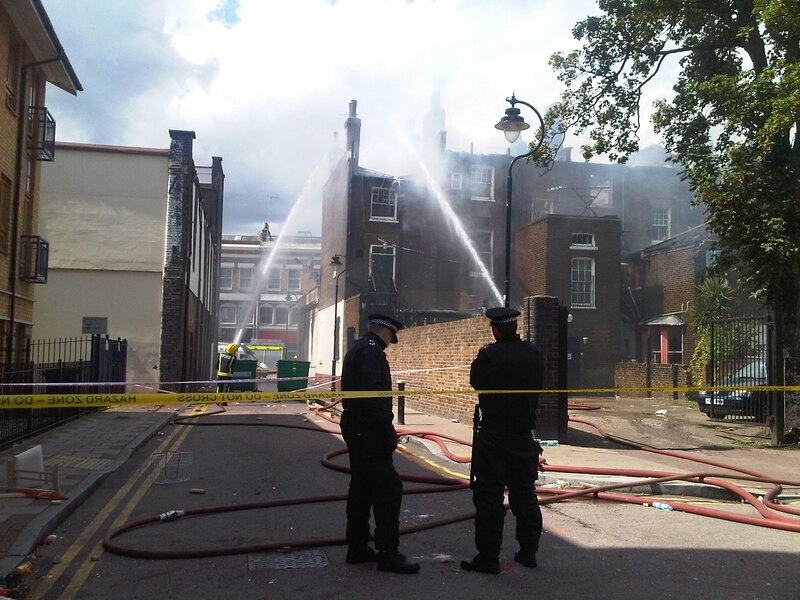 I saw a woman wake up from her slumber just to see that the side of her house had caught on fire from the police van. This is when I left. The morning after, it was all a mess. David Lammy, Tottenham MP, was not there. All politicians coincidentally were on vacation, and they stated that they had all confidence that the police would solve the situation. But how could this be possible if it was actually the police that started it? Sometimes when I think about it all, I get angry. If the arson was a major issue, why the hell did the fire brigade not arrive at the scene? The fire station is literally 2 minutes across from the police station, so why were they not implored? All this baffles me. 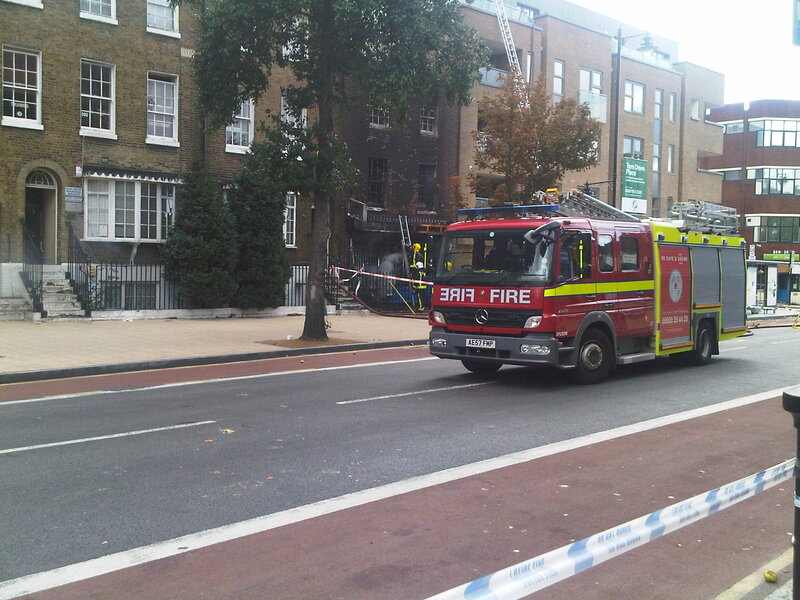 It’s like as if they wanted Tottenham to burn down. I watched the police stand there just protecting the police station. What happened to the taxi driver? Why have we not heard from him? It has been proven that Duggan did not open fire, so what happens to the police officer who shot him? Sometimes I wonder whether the riots would have even happened if Bernie Grant, Britain and Tottenham’s first black MP, were still alive. It should be important to know, roughly a year prior to the riots, Britain held their general elections. For the first time since 1997, the Labour Party lost the majority of the seats in Parliament. But interestingly enough, the voting results were scattered; meaning that there had to be a coalition. Irreconcilable differences meant a coalition between Labour and Conservatives would be highly unlikely. So it was really in the hands of the Liberal Democrats. The Liberal Democrats formed a coalition with the Conservative Party, and this was the highest amount of votes the Lib Dem’s had ever garnered in elections. Having said this, the majority of votes of the the Lib Dem’s came from the young people as Nick Clegg (Lib Dem’s leader) made many pledges that made the future sound promising for Britain’s young. To digress, I, myself, did not vote because I genuinely do not believe in British politics. But back to the topic. As of January 2011, the government cancelled access to EMA (Educational Maintenance Allowance) which was a weekly allowance given to teenagers from low-income families who continued in further education, aged 16-19. The government announced that Undergraduate course fees will increase from £3, 375 ($5, 240) to £9, 000 ($13, 975). And to think, Clegg promised that tuition fees would not increase, when in fact he endorsed it and as of 2012, universities will be charging up to £9,000 annually. Ironically, just before the run up to elections, Clegg prophesied that if the Tories (Conservative Party) were to be elected, there would be riots all over the nation due to the budget cuts as riots were going on in Greece at the time. There is a a video below of him saying this. I feel that people fail to realised how fucked up politics can be, and are super fast in pointing the gun. So who really is to blame? The majority of the youths that participated in the riots were from impoverished backgrounds. Whilst the media in American culture puts much emphasis on race, the media in British culture puts emphasis on ethnicity. There is a confrontation of culture, and the majority of those from impoverished backgrounds, from London at least, are descendants from immigrants. They cannot identify specifically with a culture, as British society does not necessarily see them as British, and they cannot really identify whole heartedly with their parent’s culture. I can only speak from my own point of view, but the only time a person of colour is considered ‘British,’ is when they have done something ‘worthy’ in society. For example, winning a Grammy Award or winning a gold medal in the Olympics, for example Dame Kelly Holmes. When they have done something bad, they always mention where the person’s parents are originally from, for example Richard Reid. This trend has caught on to society, and the way youths are labelled in London, or Britain for that fact. Common sense is not very common and people like David Starkey, simply inflame my red blood cells onto another level. He may be a successful historian but one thing I feel he lacks is sheer common sense. In my opinion, he is simply a vain intellectual. He uses this “Us vs. Them” and associates everything that is bad as black. Thus, he denoted that all white people who looted have adopted black culture. And slanders black culture as a whole. He even says David Lammy, Tottenham’s black MP, does not talk like ‘them.’ What is that supposed to mean? The saddest thing is that there a lot of people in Britain, and in fact the world, who believe that black people are primarily to blame for all calamity that may be bestowed on a nation. Time and time again, I keep hearing about this word democracy. But what does it truly mean? Britain is a surviving paradox. We live in a society where it is illegal for parents to use violence on their children, but it is perfectly ok for the police to kill a man, a father, and not take any responsibility or sanction for it. We live in a society where it is illegal to loot a shop for a crate of water, yet it is perfectly fine to invade countries left, right and centre. The British looted Africa of her worth, resources and people for their own interest, not hers. The economies and ‘success’ ( I use this term o-so loosely) of these developed nations are forever indebted to their shameful history of exploitation, slavery and looting. Which goes to say, Britain’s economy is the 6th largest economy in the world. The hypocrisy of the West is simply rife. I will never be able to defend or vote in a country for leaders who blatantly can not in any meaning of the word, practice what they preach. I simply do not believe in British politics. In no way shape or form do I condone the violence that occurred in the riots. Initially, I was appalled. Appalled because I felt that they were associating the protest with the riots, which spread across the whole nation like wildfire. And also how gravely these riots affected a lot of people and their livelihoods. But that’s because I failed to address and identify the roots which these problems stemmed from. While it’s easy for the viewer to place judgement and blame on the youths, can they actually put themselves in their position? Whilst the police watched Tottenham crumble into rubble, they employed heavy enforcement in Central London, as this is the London that everybody sees and the London that the tourists know. At the same time, you have 2012 Olympics which has gone way over budget. Taxes were increased and homes were destroyed to make room for stadiums. Is this fair? EMA is slashed, everything is expensive, there are no jobs, limited access to higher education and this creates the infamous idle minds. The way society works is that of a cruel kind. It seduces you and makes you think you need to be a certain way, or should want certain things. The psychological pressures imposed on the youth nowadays are much greater than can be said of the youth at least 100 years ago. Things are rapidly changing. We live in a materialist society and these kids know it. They are the slaves to it. Whilst the majority of the looters and violence that occurred in England were by young people, it should also be recognised that youth unemployment is the highest it has ever been in decades. So the question is what has Britain learnt from these events? These underlying problems have been brewing for a long time and it just so happens that the outlet came out by of riots. They have made over 4, 000 arrests which is said to be putting a strain on the legal system. But after these arrests are made, what happens? I think the government needs to own up to some responsibility and admit that they fucked up. The blame should not only be put on to the youths. Whilst some participated for the thrill, other people used looting as a means of survival, to not get what they want, but what they or their family needed, which goes back to money. Cameron, Johnson and Clegg should provide impoverished areas, not with what they as MP’s want i.e. police performing ‘random’ stops and searches for every other black person that walks by, but give the community what they NEED i.e. programs to help the youths, jobs etc. I have not seen home for a while, and am somewhat scared to see what it will look like. I, like many of you, was blinded in thinking that the youths were solely to blame. I myself would probably never participate in ‘rioting’ because I have different ways of dealing with things. I come from the same background as many of these youths, but I can not represent them all just like they can not represent me. What I mean is, I’ve been fortunate to have the opportunity to go to school, hold a job, and study abroad for that matter, but not all kids are granted with this same opportunity. And just because I share the same backgrounds as these youths, it doesn’t automatically mean that all youths from poor backgrounds should be labelled as delinquents. I’m starting to understand society for what it really is, and it is so twisted. Before I left to come here, many things were unrecognisable and I know all things that I knew Tottenham to be, will be but a distant memory. 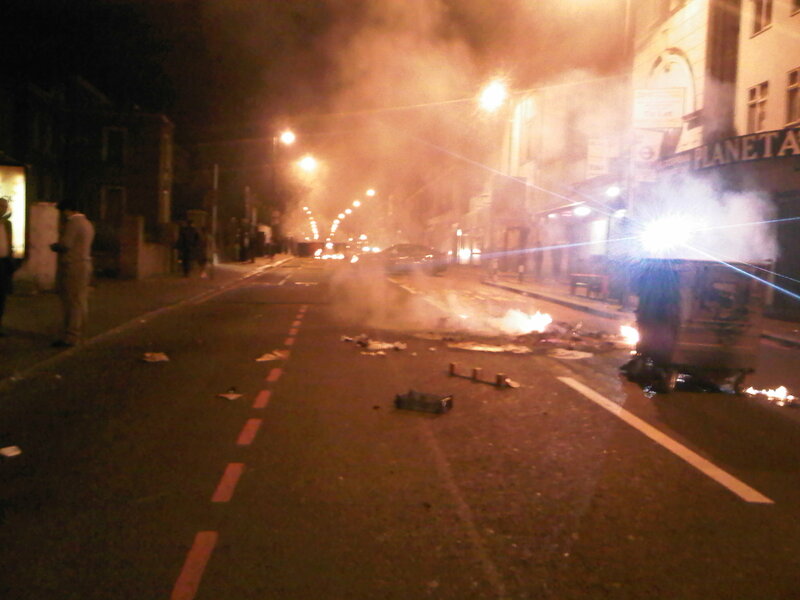 I repeat, I do not condone riots in any way, however I think I will be understanding were it to happen again. The focus of these riots changed. The nation seemed to be mourning destroyed buildings rather than recognising that the young, OUR FUTURE, need help! So if these situations do not change, how will the people change?